Long before he was President or head of the CIA, before he fought terrorist attacks on the Super Bowl or the White House, even before a submarine named Red October made its perilous way across the Atlantic, Jack Ryan was an historian, teacher, and recent ex-Marine temporarily living in England while researching a book. A series of deadly encounters with an IRA splinter group had brought him to the attention of the CIA's Deputy Director, Vice Admiral James Greer--as well as his counterpart with the British SIS, Sir Basil Charleston--and when Greer asked him if he wanted to come aboard as a freelance analyst, Jack was quick to accept. The opportunity was irresistible, and he was sure he could fit it in with the rest of his work.And then Jack forgot all about the rest of his work, because one of his first assignments was to help debrief a high-level Soviet defector, and the defector told an amazing tale: Top Soviet officials, including Yuri Andropov, were planning to assassinate the Pope, John Paul II. Could it be true? As the days and weeks go by, Ryan must battle, first to try to confirm the plot, and then to prevent it, but this is a brave new world, and nothing he has done up to now has prepared him for the lethal game of cat-and-mouse that is the Soviet Union versus the United States. In the end, it will be not just the Pope's life but the stability of the Western world that is at stake. . . and it may already be too late for a novice CIA analyst to do anything about it. "Clancy creates not only compelling characters but frighteningly topical situations and heart-stopping action," wrote The Washington Post about The Bear and the Dragon. "Among the handful of superstars, Clancy still reigns, and he is not likely to be dethroned any time soon." These words were never truer than about the remarkable pages of his breathtaking new novel. 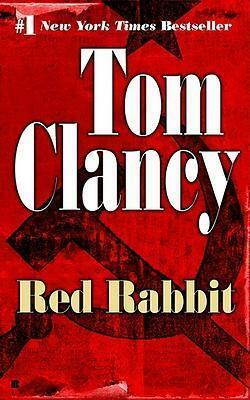 This is Clancy at his best--and there is none better. Edition Statement Berkley Mass-Market ed. A little more than thirty years ago Tom Clancy was a Maryland insurance broker with a passion for naval history. Years before, he had been an English major at Baltimore's Loyola College and had always dreamed of writing a novel. His first effort, The Hunt for Red October--the first of the phenomenally successful Jack Ryan novels--sold briskly as a result of rave reviews, then catapulted onto the New York Times bestseller list after President Reagan pronounced it "the perfect yarn." From that day forward, Clancy established himself as an undisputed master at blending exceptional realism and authenticity, intricate plotting, and razor-sharp suspense. He passed away in October 2013.